Please allow me to take you through a recent journey of mine, that has crossed at least eleven traditions, has brought me deeply into self-exploration, and which I shared with almost a hundred friends, colleagues, and many people I had never previously met. I will guide you along what has been the most incredible voyage of my life. This ride has been my dream, my vision during the past six months whilst leading to a revolution of sorts on my university campus. New ground has been broken, to the point whereby it is now my goal to make certain that this movement continues. The impact of this movement is clearly seen all around us. Councillor Nathan Hartley, who has spent much of his life devoted to this form of activity, has described how he believes that this movement ‘gives people the opportunity’ to criss-cross the globe with ease because of the insurmountable amount of knowledge that we are able to gain from it. My role has been as the first ever Religions & Beliefs Liberation Representative of Bath Spa Students’ Union. I have, effectively, been a student interfaith leader. I began the role with an adamant desire to improve the provisions that the university offers students for their faith-based needs. The university, as a public sector institution, must comply with the Public Sector Equality Duty 2010. Two points that are relevant to this article from the legislation are: ‘meet the needs of people with protected characteristics’; and ‘encourage people with protected characteristics to participate in public life or in other activities where their participation is low’. The level to which the University has done this is clearly up for questioning. I bring to light a statement from within the university’s Equality Policy that especially stands out: ‘Staff, Students and Union representatives are provided with appropriate forums to discuss and deal with equality issues’. Despite this proposition, nothing substantial has been provided by the University, and certainly nothing on the scale of the sensitively-managed forum I introduced for discussing faith-related issues. A weekly Religions & Beliefs Forum was set up from the beginning of the Autumn term. This has gained quite a presence on campus throughout the year, playing host to guest talks from external speakers such as Geoff Pryce, of the Bath Humanists Group, and Jane O’Hara, of the Baha’i Faith. On November 29th the Forum hosted a student consultation on the nature of the graduation ceremony being held in Bath Abbey, which Edward Mason, rector of Bath Abbey, and Chris Ellicott, who is organising the graduation ceremony, joined us for. The feedback from this talk went to Student Council a week later, and assurance was made by the sabbaticals to work alongside Edward Mason in making sure that student concerns were met. In November I received funding from the NUS for putting on evening talks. 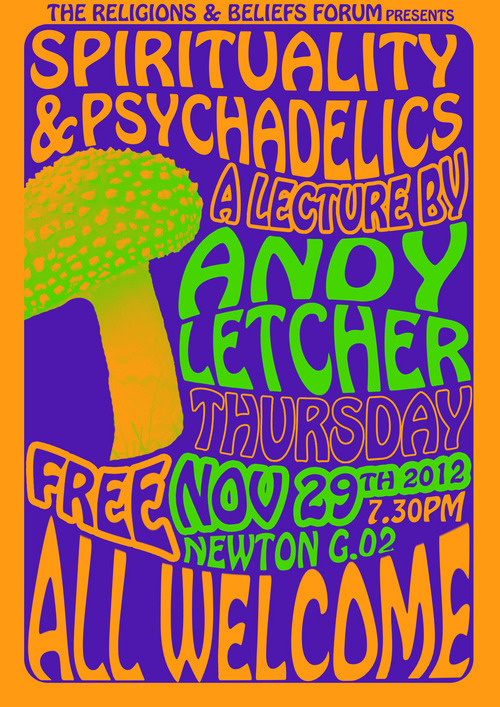 Three popular talks thus far have resulted from this, including a talk in November by Andy Letcher on ‘Psychedelics & Spirituality’ and, most recently, one delivered in March 2013 by the Rastafari Council of Britain on ‘Rastafari: An African Enlightenment Project’. The latter of these coincided with a couple of other student-led events in support of Fairfield House on Kelston Road, Bath, which is of strong significance to the Rastafari community. Clearly, the Forum has held an important role throughout the year not only in engaging students informally with different belief systems through themed talks, and in creating a bridge between the university and the wider community, but also, in hosting the graduation ceremony student consultation, the Forum fulfilled the university’s duty of conducting a student impact assessment. The Forum has, in my opinion ‘encourage[d] people with protected characteristics to participate in public life or in other activities where their participation is low’. Despite the success of this forum in engaging students, there is an appreciable amount more that should be considered in relation to faith provisions that had not previously been met by the University. 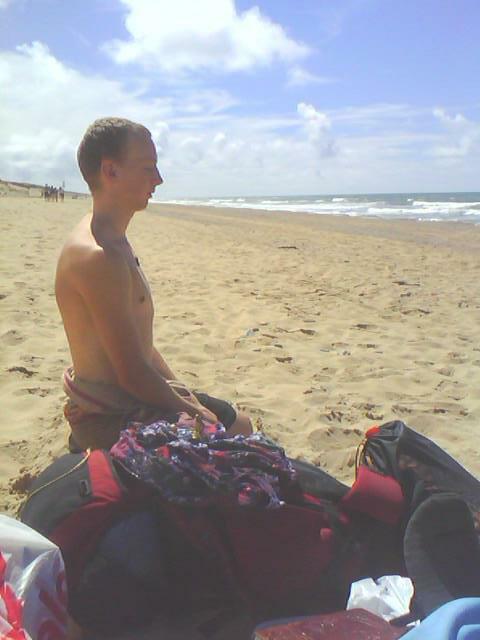 As a student with a strong Buddhist affiliation through my parents, meditation is naturally very central to my life. The university’s faith provision is given purely through its chaplaincy, which, and I quote, ‘can talk in confidence about any spiritual issue’ and ‘offers guidance on where to worship within the city of Bath and its surrounding areas’. Although I respect the chaplaincy for what it does do, I feel that it is incapable from its very foundations to provide for my own faith-based needs whilst I am on campus. 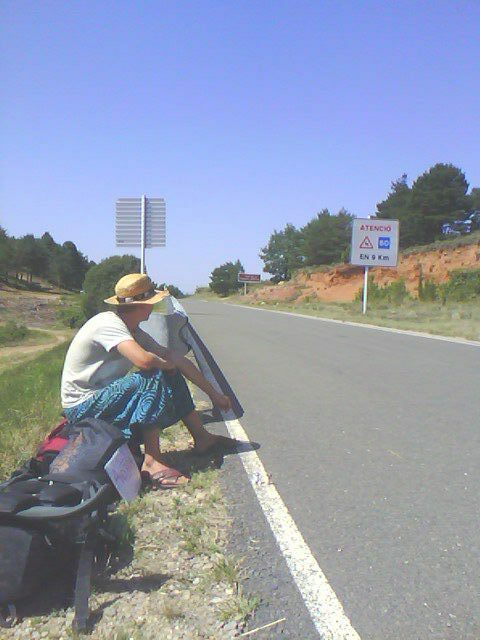 I have continually, throughout my degree, been searching for suitable places to meditate on campus. Whilst the library is quiet in some areas, the academic work environment is not suitable for meditation; and the more social atmosphere of the Students’ Union provides a very vibrant yet distracted environment. My osteoarthritis prevents me from feeling comfortable to be meditating outside especially in the colder and wetter weather. There has been nowhere sufficient for my needs. Spirituality is so pertinent in life, and if a progressive institution like a university is not accommodating for this then obviously something is wrong. I therefore set my sights, from the start of the year, on correcting this. The Quiet Space, as one student warmly regarded, has been about ‘reflection, which we all share’. For two hours every week, split into two one-hour sessions on Monday and Thursday mornings, we have had the Quiet Space in ‘Dairy’. The main focus throughout the year has been on following guided meditation videos found over the internet, which notably have helped those involved on a number of levels, especially in dealing with stress. Despite the turnout having been low for the Quiet Space, with on average 2-3 people attending each session throughout the year, both Quiet Space attendees that I interviewed contended that they enjoyed the intimacy of the smaller group, and feared that larger turnouts may harm the effects that they currently gain from the Quiet Space. The Quiet Space has become central to Students’ Union politics over the past few months. A motion, brought forward by Black Students’ Representative Sharareh Houshmandyar, was passed in the February Student Counil for the Union to lobby the University to establish a permanent Quiet Speace in teh new development project on campus. A few weeks later, all three SU President candidates stated in the Q&A session on campus that they saw how important the Quiet Space was, and vowed to help in taking it forward. The next Religions & Beliefs Liberation Representative has also promised to continue to develop the Quiet Space, and to ensure that it is rightfully placed into the new build. Clearly, a gaping hole, in ‘meet[ing] the needs of people with protected characteristics’, has been filled with the existing Quiet Space, and, if our efforts are upheld, it will continue to be so for the foreseeable future. Likewise through student politics, a notable development has been made to secure the future of interfaith activity between the Students’ Union and the local community. I took forward a motion, upon receiving the consent from Councillor Nathan Hartley, for the Students’ Union to permanently hold a seat on the B&NES Faith Forum. Astoundingly, the motion was passed in the blink of an eye – there were no concerns, nor any disapproval, and the support was almost completely unanimous. Cllr Hartley, who leads the Faith Forum, stated one of the important reasons for supporting student involvement on the Faith Forum was that ‘younger input in the Faith Forum is very important [in] giv[ing] a fresh approach’. Whilst this move may not have immediate noticeable effects, it is a solid step in the right direction in securing a stronger future for interfaith provision on campus as well as giving the University more of a presence in the community, which, again, will certainly help the University out in fulfilling its Equality Duty. A final aspect of the Equality Duty that has been probed throughout this year has been on how far the teaching itself has been adequate for the student needs. When, in mid-November 2012, Ray Raine led a talk on ‘7 things that universities don’t teach their students’, I have to say that I was taken aback by the strongly alternative message that he argued. Since then, I have worked alongside him in organising a 4-week Spiritual Leadership course, and there are current plans for bringing a spiritual charter forward to the university in order to give greater support towards a system that helps students to develop a meaning for life. The course itself has deeply connected with a number of students, which has reflected in the actual attendance figures being consistently high (on average 7 people turned up each week). Ray has likewise been giving spiritual mentoring to some students during this time, which he feels, if university lecturers were to reciprocate, or even just support the development of, would enhance, ‘more than [staff] could think’, the quality of students’ own studies. It is easily foreseen that if the plans go ahead the university environment will radically change towards becoming a much more directly spiritually nourishing place than it has ever been in the past. Bath Spa University is currently going through a series of changes that will permanently change its dynamics. I see that students will become empowered to demand that their faith needs are met, as the dynamic of the university continuously changes with the projected influx of international students, to the point whereby it won’t just be myself and a small group of other students crying out for faith-related reforms. There will be a huge network of students, from all backgrounds, who will be demanding that their university gives them a more spiritually-enriching educational environment, that not only provides provisions for all to practice faith-based activities, but also for a curriculum that encourages a much wider sense of self-exploration. I hope that I have made my disagreements known, throughout this article, in respect to how the university currently treats its Equality Duty. The Equality Duty is in place to ensure that provision is provided, and it should not be up to the student body to provide this. My final duty in this role, before I leave office this June, is to ensure that the University commits itself to substantially increasing its interfaith provision. The University’s Equality Policy can only be taken seriously, after all, when real change begins to happen.